Yesterday was a solemn day for Americans remembering the terrorist attacks that struck the World Trade Center only 13 years ago. To honor those who lost their lives and worked tirelessly to save others, one hero gave the site a lonely visit. Yahoo! News reports that the last surviving dog involved in the rescue effort that day recently paid a visit to Ground Zero for the first time since the attacks. Bretagne, the 15-year-old golden retriever, was only 2 when she was deployed with her handler, Denise Corliss. Corliss and Bretagne spent 12-hour shifts searching for survivors and Bretagne comforted other rescuers during her breaks. Since then, Bretagne and Corliss have served in multiple disaster sites until Bretagne’s retirement from active search and rescue in 2008. Now, Bretagne continues to serve as a search and rescue dog ambassador, visiting hospitals and elementary schools. EntirelyPets is proud to support the Search Dog Foundation, which helps train heroes like Bretagne every day, and we encourage you to do the same by donating today. Last week, it was discovered that a woman was hoarding more than 200 cats in her home in Chickamauga, Georgia, when a neighbor complained of a strong smell emanating from the house. WRCBTV initially reported the story stating that 70 cats were taken from the home as of last week, many of whom needed urgent medical attention. Though the cats were not malnourished, many suffered from infectious diseases such as feline AIDS and feline leukemia. Though shelters are attempting to care for ill cats and find new homes for healthy cats, it is estimated that as many as 100 cats are still inside the house. 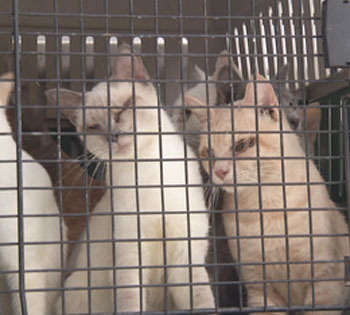 The owner of the home claims that she initially rescued about 20 cats from the conditions imposed by Hurricane Katrina before their breeding caused them to shore up their numbers to more than 200. Walker County officials are still searching for homes and advising those seeking to care for strays to have them spayed, neutered, and vaccinated. In Yunnan, China, one city faced a difficult decision this past week as a rash of deaths attributed to rabies led to a controversial decision to cull dogs en masse. The city of Baoshan was experiencing an unusual outbreak of the virus that reportedly caused 5 human deaths within the past month. Instances of rabies are generally rare, with another Chinese province experiencing a notable 16 deaths throughout the region in 2006. Authorities did not delay when deciding to put down stray dogs in the region. 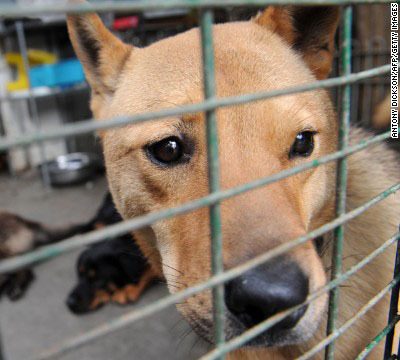 CNN reports that 4,900 dogs have been culled in the province since the outbreak. This number may seem high- but the municipal government has also vaccinated 100,000 dogs against the disease to prevent further killings. In spite of these efforts, some animal activists are still calling for animals to be sterilized and vaccinated in greater numbers to keep the stray dog population at a manageable level. September is National Preparedness Month and that means ensuring that we have a plan to keep both ourselves and our loved ones safe. For those of us with pets, this can mean making extensive arrangements for any state of emergency that may befall us. This entails being prepared both for large emergencies such as natural disasters, or smaller hindrances such as a small fire or a power outage. 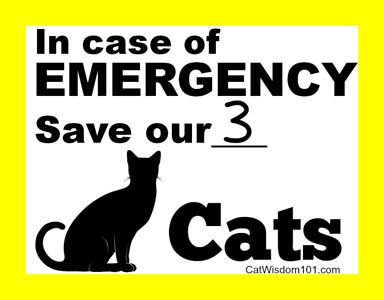 To ensure that you are prepared to keep your pets safe, Cat Wisdom 101 has written an extensive post advising pet owners on steps they can take both before and during an emergency to keep their pets safe. We highly encourage you to check out their post to learn the best ways to protect your pet.